Good morning on this first Monday of April; can you believe it? I am definitely enjoying the nice weather we've been having and wish it would stick around, but I know the heat will be upon us in the near future. I had a really good reading week and, thankfully, my body is beginning to cooperate after my recent running injury; I'm hoping for another good week! First, I finished reading one of my highly anticipated debut novels for the year, Marlena by Julie Buntin; I'm trying to gather my thoughts of this one to write a post, but I need a little more time. Overall, I was impressed with the writing and there is this otherworldly quality to the story...but that's all I've got, for now! For over a year, I've wanted to read My Name is Lucy Barton by Elizabeth Strout; now that she has a "companion" novel to be published later this month, I couldn't wait any longer! I had intentions of downloaded and listening to a new audiobook this week; my current picks are The Rules Do Not Apply by Ariel Levy (recommendation from Sarah's Book Shelves) and Exit West by Mohsin Hamid (recommendation from Novel Visits). 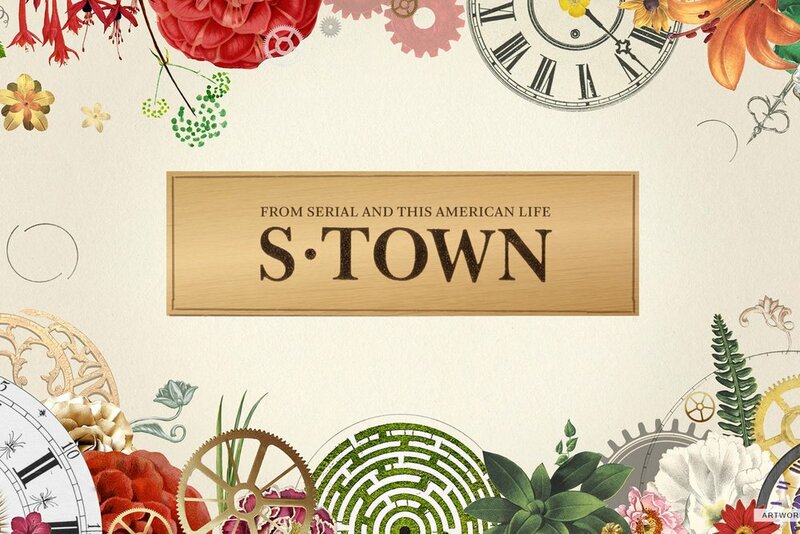 Before I'd had a chance to download one of these, the new S-Town Podcast was released and that dominated my listening (and other aspects!) life last week...wow. Are you listening to this? Please tell me that you are! After I finished My Name is Lucy Barton (it's a quick read), I moved on to A Separation; author Katie Kitamura will be presenting at the 2017 Arkansas Literary Festival on Saturday, April 29, and I'm planning to attend! While I know there has been some controversy over the fact that this novel has been marketed as a "mystery" or "suspense" read, I'm grateful for book friends like Sarah and Susie who sort of warned me not to go into this with any preconceived notions. At not quite halfway, I love Kitamura's writing; even if there is no resolution to the "mystery" within the story, I will not feel disappointed. Author Kevin Wilson will also present at the Arkansas Literary Festival on his latest, Perfect Little World, so I think that will probably be my next up...but I haven't quite decided; there are always too many to choose from!